We are sold out of advance tickets for this show. 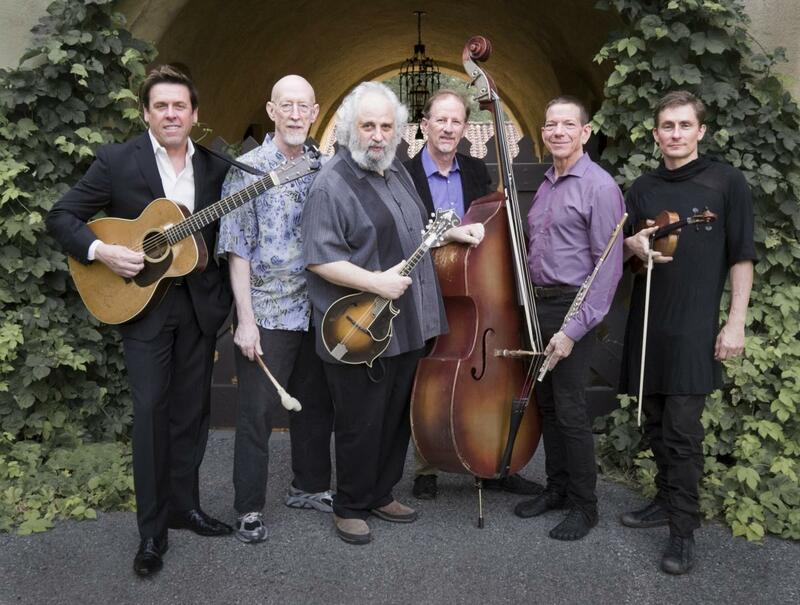 Advance tickets for David Grisman Sextet on Sunday 3/27 at 7pm are available here. It’s a party for David Grisman, the master of the mandolin, celebrating the release of a new album as well as his birthday! David has played with everyone from Stephane Grapelli to Jerry Garcia, from Doc Watson to Hal Blaine. Tonight he returns to his swing jazz sweet spot, joined by an all-star lineup of stalwarts – George Cole on guitar, George Marsh on percussion, Matt Eakle on flute, Jim Kerwin on bass, and Chad Manning on fiddle – and perhaps a few special guests! David began his professional career in 1964 with Red Allen and the Kentuckians. He started the Even Dozen Jug Band with John Sebastian, Stefan Grossman, and Maria Muldaur, and Old and in the Way with Peter Rowan and Jerry Garcia. Since then, he’s gone on to explore jazz and swing and just about every other musical influence in his own unique brand of what he calls “dawg” music, a highly intricate, richly textured blend of styles and traditions from around the world. His playing is exquisite, full of passion, humor, and a love for the infinite possibilities of music. His shows tend to sell out, so get your tickets early.